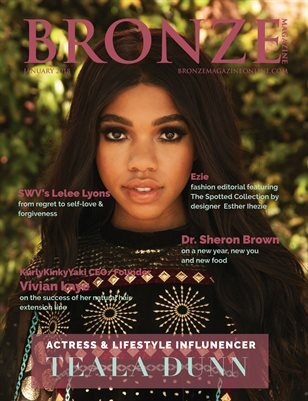 In this month’s issue, our cover star is the talented actress and lifestyle influencer, Teala Dunn, whom most of you would probably remember from the hit comedy TV show Are We There Yet where she played the role of Lindsey Kingston-Persons. Teala has since go on to work on various television projects including her latest in Fullscreen’s “Guilty Party” and Hulu’s “All Night” premiering this year. Teala has also become known as one of the most influential social stars on YouTube.